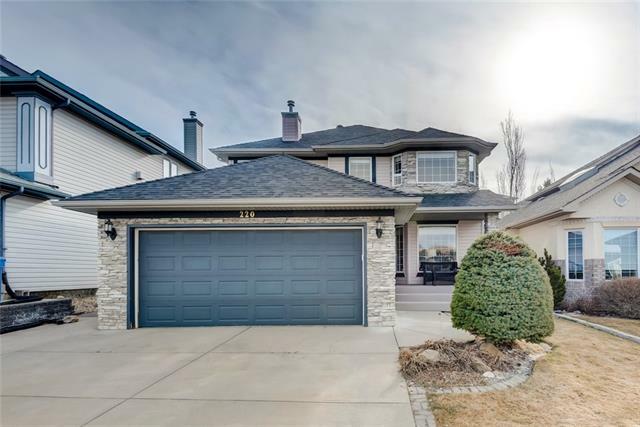 DESCRIPTION Open house Mar 31,2:00-4:00pm Fabulous 2 Storey Walkout backs on Park w/ Panoramic City View from All 3 Levels!This 4+2 Bedrms, 3.5 Baths Executive Home offers Luxury Living w/ 3500 sq.ft. developed basement! 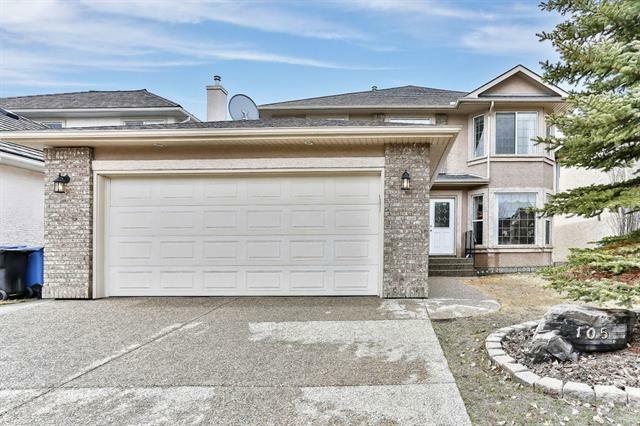 Great Curb Appeal w/ Stucco Exterior & Tile Roof, Bright Open Plan w/ Soaring Vaulted Ceilings, Engineered Hardwood Flrs throughout Main level, New carpet, new paint. Renovated Kitchen w/ Maple Cabinets, Granite, High End S/S Appliances, Sunken Family Rm w/ Cozy Gas F/P, Newer Half Bath w/ Granite, Storage Cabinets & Modern Sink, Main Floor Den & Laundry. Upstairs boasts 4 Bedrms & 2 Full Baths, Oversized Master Quarter w/ Amazing Views, Private Balcony, Gas F/P, Luxurious Ensuite (Jacuzzi, Shower, Dual Vanity & StorageCabinet). Professional Finished Walkout Bsmt features Huge Rec. Rm w/ Wet Bar perfect for All Entertaining, 2 Bedrms & Full Bath. Nicely Landscaped w/ Mature Trees, Concrete Patio, New Aluminium Glass Railings & Gas BBQ outlet on Deck.Close to Shopping, Schools, Park & LRT. Home for sale at 2616 Signal Hill DR Sw Calgary, Alberts T3H 2T7. Description: The home at 2616 Signal Hill DR Sw Calgary, Alberta T3H 2T7 with the MLS® Number C4228378 is currently listed at $749,000.